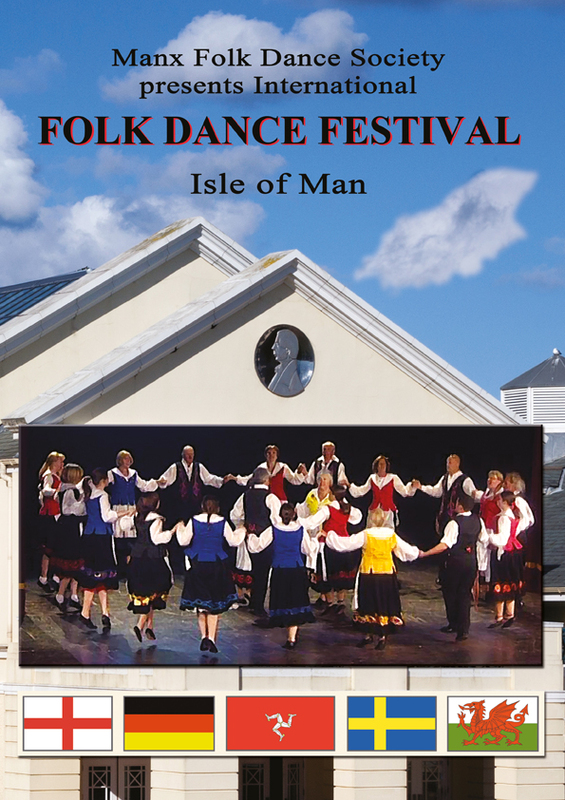 This DVD production presents in 2 discs grand total of 58 folk dances performed by 13 folk dance groups during the Folk Dance Concert at the Royal Hall, Villa Marina in Douglas and during outdoor displays in Castle Rushen, Castletown and at the Mooragh Park, Ramsey, all in the Isle of Man. 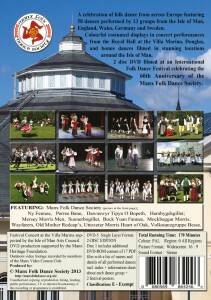 Out of 58 dances 25 are Manx Dances. 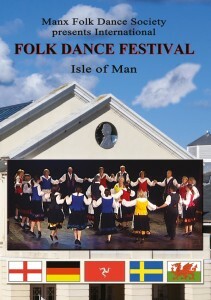 46 dances are presented in full versions, 11 dances were used in a medley performance by Manx Folk Dance Society and only part of the dance “Peter O’Tavy” was used for final credits. and also in the Lexicon Bookshop, 63 Strand Street, Douglas, Isle of Man, IM1 2RL. The Lexicon Bookshop accepts orders also on-line. 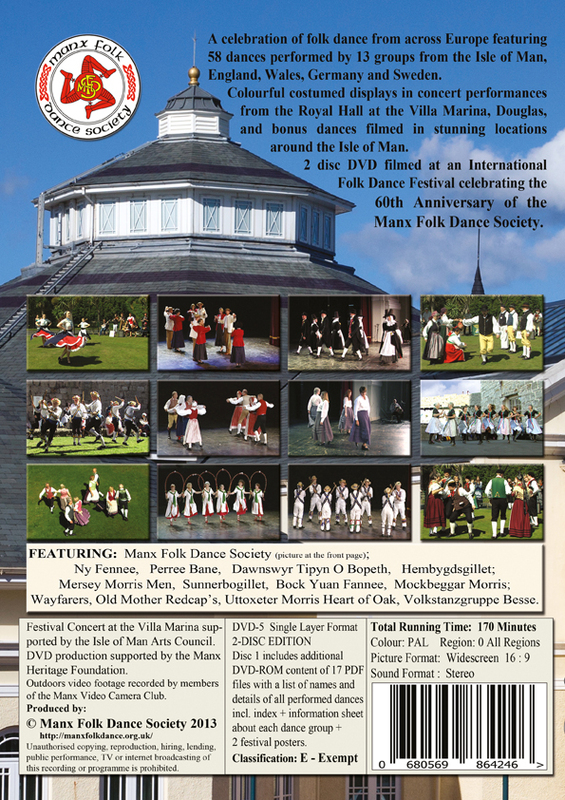 Look in the “Isle of Man / Manx DVDs” – General section. Tel: 01624 673004. Fax: 01624 661959.